Kelp Rattles are made from the top bulb part of Bull Whip Kelp. The softer blades come off the top leaving small hair-like fringe. 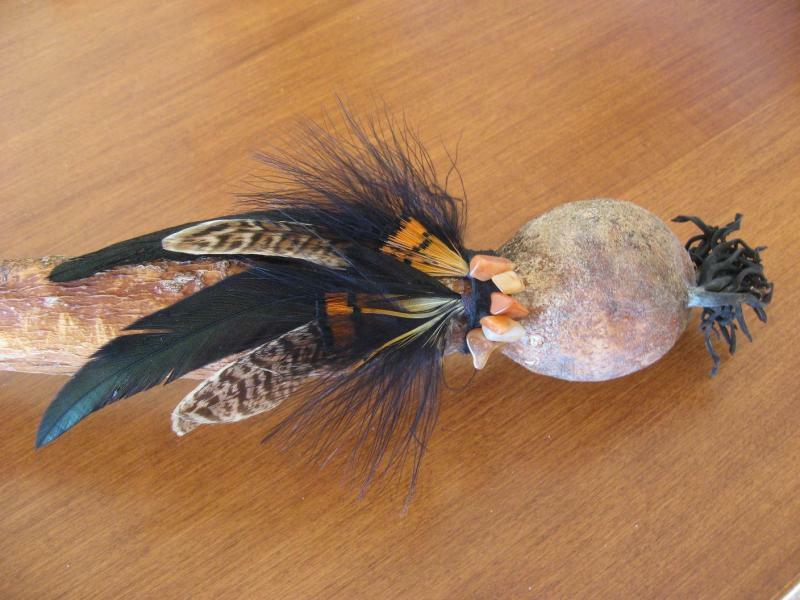 Feathers, shells, semi-precious stones and rock chips; glass and wood beads, leather and suede can all be used to create fun and useful rattles. Use them in your drumming circle. Also good for use as a talking stick in group settings. Or just display them for thier unique beauty.